Are Brazil’s Corruption Scandals Finally Hitting the Olympics? The majority of the members of Brazil’s Congress are under investigation or facing charges. Of course the Olympics are corrupt. For months, the disconnect in Brazil has been stunning. High-profile judicial inquiries into government corruption have implicated the nation’s most powerful construction firms. Yet the $10 billion concrete and cement extravaganza otherwise known the 2016 Summer Olympics in Rio, celebrated by the same politicians under investigation and built by the same firms whose executives are being trotted off to prison, has remained largely untouched. Given the history of graft and kickbacks that follows the games from country to country like a communicable disease, this was, to put it mildly, curious. Given that corruption in the political corridors of Brazil is so widespread that, according to The Globe and Mail, of the 594 members of their Congress “318 are under investigation or face charges,” the idea that the Olympics would be immune from this is the equivalent of thinking that a lumbering elephant could somehow dance amid raindrops and remain dry. A theory that could be described as common currency in Rio is that, despite the broad-based nature of corruption, the political focus has been on impeaching and removing from power President Dilma Rousseff of the Workers’ Party and replacing her with Michel Temer, of the Brazilian Democratic Movement Party (PMDB). The Rio Olympics, because of the federalized political system operating in a nation larger than the continental United States, have been under the oversight not of the capital city of Brasilia but of Rio de Janeiro, and Rio is controlled by the PMBD. 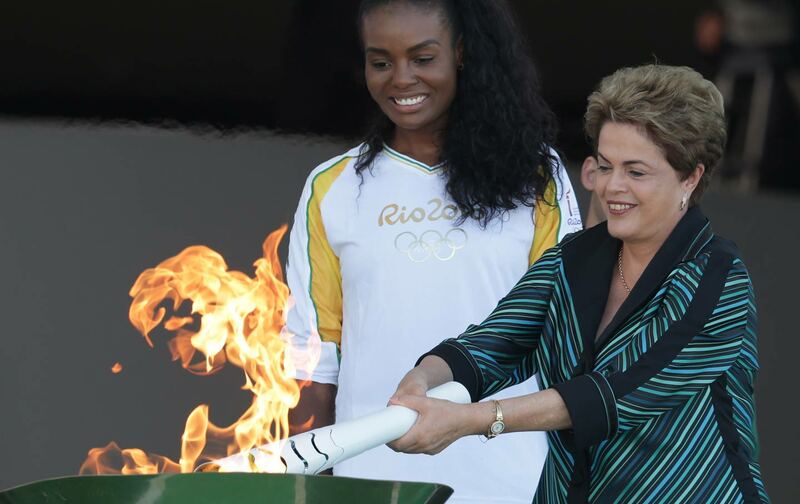 Under this state of affairs, one can easily see the August Olympics serving as a ceremonial backdrop to celebrate the new people in charge once Dilma takes the fall. It took civilian deaths and massive public outrage to even get a commission such as this off the ground. Last week, a brand-new seaside bicycle path, one of the Olympic legacy projects, was knocked down by a wave, killing two people. The bike path arrived six months late and was over budget by more than $2.5 million. Making the matter even more outrageous, the construction firm that built the cycling path, Concremat, was founded by the family of the city’s tourism director, Antônio Pedro Viegas Figueira de Mello. Figueira de Mello served as Mayor Paes’s campaign treasurer during his first run at mayor in 2008. Concremat has also been under investigation since December for skimming money off of non-Olympic contracts for months. This stinks to high heaven. The question is whether public anger will push this commission to do more than play Baghdad Bob, existing only to announce that Mayor Paes is an innocent soul and there is nothing to see here. Even if this commission is a sham, however, an important line has been crossed. The fiction that corruption infects every aspect of Brazil’s political world except for the Olympics has been pierced. Even if the compromised commission casually pulls on the loosest of strings, it can all come apart. Already the Olympics in Rio have been a horror show of displacement, debt, and police violence against the city’s poorest residents. If it is found that these crimes have been committed in the name of mafia-like construction skims, the political calculus where everything is somehow Dilma’s fault could be dramatically upended.